The former environmental minister for Germany’s most populous state wanted an electric car while in office, because, well, EVs are “green” and good for our planet while it still exists. But Germany’s truest green boy couldn’t handle an EV as a daily driver, and returned his Tesla Model S over lack of range. Motor1 reported in December that the former minister of German state North Rhein-Westphalia and a member of the eco-friendly Green Party, Johannes Remmel, bought a Model S 90D on government cash. It wasn’t the most popular decision there, since Remmel bought from an American car company when he’s a politician in, uh, Germany. The car went for about $115,000 in Germany at the time, Motor1 reported. Automotive News reports that Remmel wanted to see how feasible it was to use an electric car on his daily commutes, which involved driving all over the state during his time in office. But Automotive News checked back in a few months later via Germany’s Freedom of Information Act, and found out that Mr. Clean Air and Trees couldn’t handle the anxiety of driving on a charge in one of the Model S’ top trims—and battery ranges—at the time. 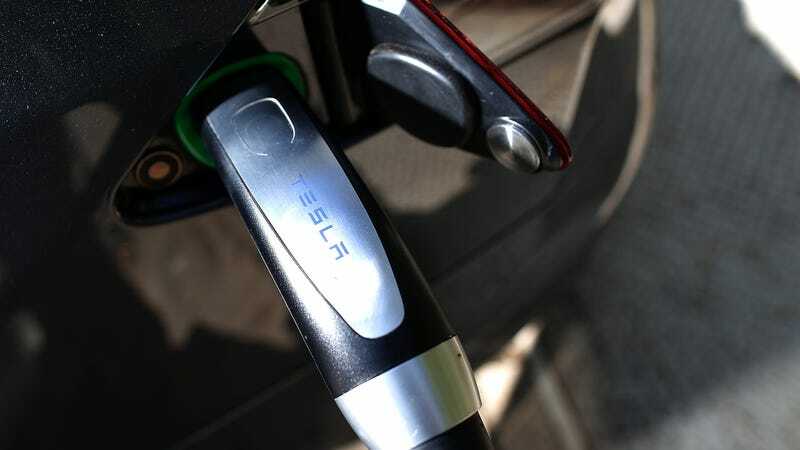 In an internal memo, a senior aide explained to one of the state’s fleet managers in June that while the Tesla’s performance was superior to other EVs in the market, it was nonetheless “ill suited” for official business given the distances Remmel needed to cover in North Rhein-Westphalia. When the government bought the Model S and sparked some controversy over it, Motor1 reported that the ministry said German-made electric cars didn’t have enough range to cover the large state. But, alas, it seems as if nothing was good enough for Remmel. The Model S failed as well. Automotive News also reports that the ministry said the Model S Remmel bought left “much to be desired” in terms of backseat comfort compared to other cars in its class. Tesla declined to comment, according to Automotive News. A lot leaves me with “much to be desired.” The difference is, I don’t often (ever) get to buy it on government money.